GEZHELE Pavel, Doctor EMC. Make an appointment, ask a question. 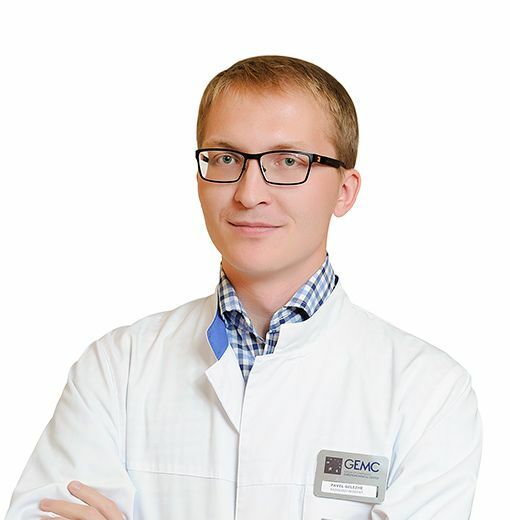 He graduated from the general medicine department of the First Moscow State Medical University named after I. M. Sechenov in 2012.He continues his training as the resident on the specialty of radiology at the same institution. On-the-job training in PET-CT diagnostics: in Switzerland - Fellowship in PET/CT imaging (University Hospital of Zurich, April-May 2014), in Israel - Observation in the department of Nuclear Medicine on the subject of general nuclear medicine and PET/CT workflow and diagnosis (Assaf Harofeh Medical Center, June 2014). Since 2012 he is a member of the European Society of Radiologists (ESR); since 2013 – a member of the Radiological Society of North America (RSNA); since 2014 – a member of SNMMI.